Back in the summer, I was asked if I would like to be interviewed for a Podcast for Blondie and the Brit. 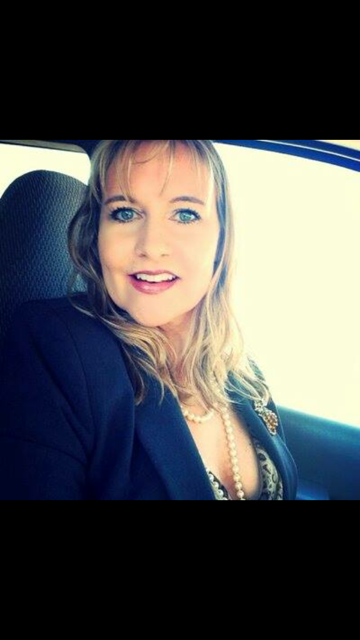 Through Facebook I’d already become friends with ‘Blondie’ aka KJ Waters – you might remember the posts on her book, Stealing Time – and we were working on my book cover together (along with Jody Smyers), so I was looking forward to chatting with her again. Also, I’d done one before so it didn’t faze me. The time was set for the recording and after a couple of minor technical hitches, it went ahead. I have to say I had a brilliant time. It was lovely to get to know Suzanne Kelman, ‘the Brit’, and between the three of us there were plenty of laughs. We obviously did some serious stuff as well though. 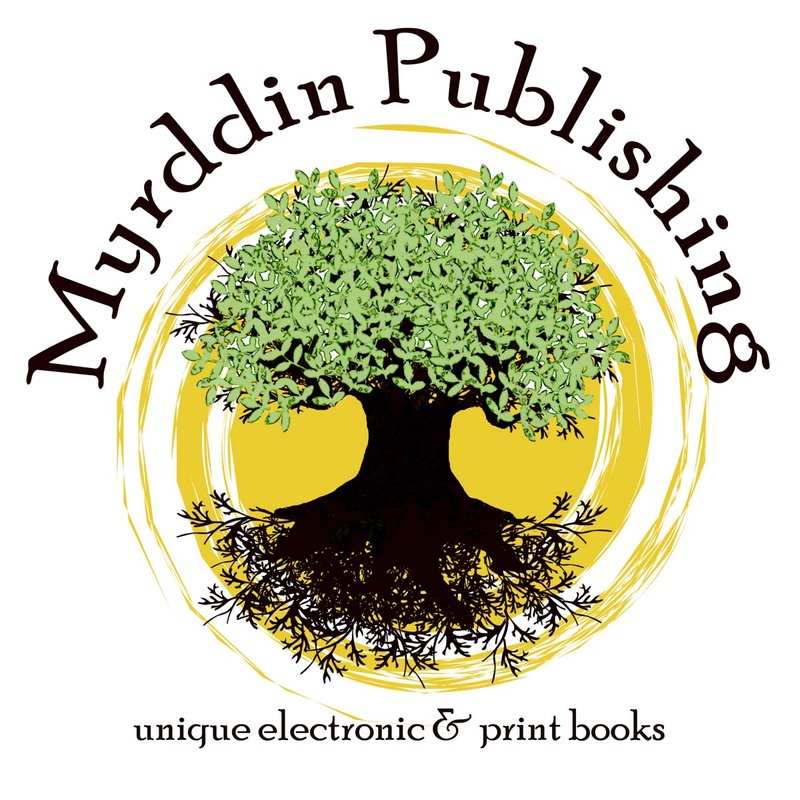 I can’t believe how many subjects we covered in ninety minutes: editing; jewellery making; book reviews; Of Ice & Air; my publishing group, Myrddin; the writing group I lead, Writebulb; inspiration; and, of course, writing. Anyway, the great thing is that the interview went live yesterday. The timing could not have been more perfect with the launch of my new book today! I hope you enjoy it and if podcasts are your thing, check out Blondie and the Brit. They have some great ones already on their backlist and plenty of talented people still lined up. 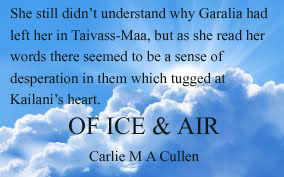 With one day to go to the book launch, here’s another little teaser from Of Ice & Air for you. Enjoy! Also my podcast interview with Blondie and the Brit is airing today. Check it out here http://blondieandbrit.podbean.com/e/carlie-cullen-episode-…/ I had so much fun doing it and the ladies were great hosts! 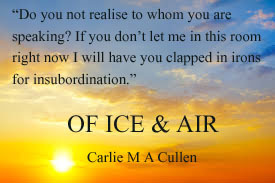 Well, the launch for Of Ice & Air is only a couple of days away so I thought I’d give you a little teaser from the book. Yesterday my blog was hijacked, but I really didn’t mind. I thought the character interview was great. But moving on to today and it’s LAUNCH DAY for Vera’s Song by Natalie Erin. I have to say, I love this cover! Having read the first book in this series and enjoyed it, I was interested to see what the author would do with this one. Was it going to be the dreaded second book in a series which didn’t live up to the promise of the first? Actually, no. In fact it was quite the opposite. Erin introduces some new characters in this story and ties them in nicely with those from book one. Vera’s Song takes us forward about four years from where the previous tale leaves off. Kiatana has grown in confidence and taken the mantle of queen of the forest to the next level. Her son is typical for his age: curious, fearless, and a bundle of energy. Wyntier, a new character, is deliciously evil. He’s hatching a plot and needs Kiatana’s son and his changer to make it work. Wyntier is cruel to the nth degree. He beats his changer, Vera, for the slightest thing and yet she loves him and does whatever he wants, even if she knows it’s wrong. There are no redeeming features in this character. He shows no remorse for anything he does, or the pain he causes. Driven by his need to be powerful and to control everything around him, he will stop at nothing to achieve it. I had to wonder why he was so brutal and driven and this was never addressed. It would have been interesting to know his background a little more, but even the flashbacks to his childhood showed a nasty boy who bullied weaker kids. Vera’s a conflicted character who has been in love with Ionan, Keota’s changer, since they were young. She yearns to be reunited with him, but despite the harsh treatment she endures, she still won’t leave Wyntier. Vera’s character is well crafted. You feel her frustration, pain, love, and basically she has a good heart. She wants to do the right thing and tries in her own way to make life more comfortable for Wyntier’s victims. I found myself really sympathising with her plight and she’s the one who has stayed with me the most. The other new characters all added something meaningful to the story. Some of them were written in a stronger voice though. Those from book one had all grown into their skins or pelts. However, I found Keota to be less effective in places and would have liked to see him as formidable as his wife, Kiatana. The plot itself was exciting and dramatic. There were lulls, but they didn’t diminish the story; there needed to be some less intense moments so the reader could draw breath and take in what had happened in the previous few pages. There were no plot holes and the only part of it which felt contrived was an altercation with some elves. Later in the story, the elves return and the complete 180 didn’t quite sit right with me. However, the rest of the story was so engaging that this small irritation didn’t spoil it for me. The world Erin built in book one was equally as strong in this one. From forests to icy mountains and beaches, her description was detailed without being overwhelming. 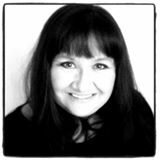 She brought each part of the world seamlessly into the story giving good reasons why the characters were there. For me, the definition of a good, enjoyable book is one you can remember several weeks later, and that’s exactly what’s happened here. I finished reading Vera’s Song about three weeks prior to writing this review and yet I find myself transported back into the pages as if I’d finished it only yesterday. There were enough errors which made me want to shoot the editor or proof reader for missing them, but they didn’t detract from my pleasure in reading it. In conclusion, this book was better than expected, a good and memorable story with characters that stayed in my heart long after I finished it. 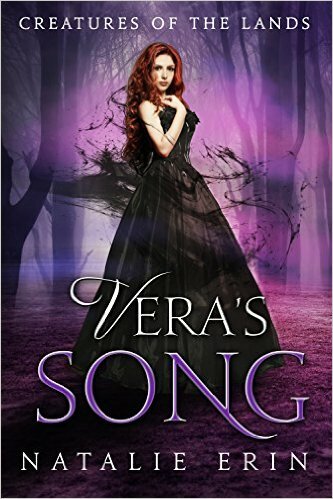 If you’re looking for a fairy fantasy read with something a little different, I would certainly recommend Vera’s Song. 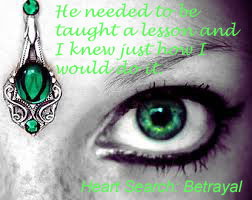 The big day has finally arrived and Heart Search: Betrayal, the final book in the trilogy, is live on Amazon!! YIPPEE!!!! 😀 I’ve got a grin that just won’t quit at the moment! You can either click on the cover in the side bar or use http://hyperurl.co/HeartSearch-Betrayal to take you straight to Amazon. WOW! It blows my socks off every time I watch it and makes me tingle all over. I hope you enjoyed that – it was just the warm-up act. The next part is exclusive to this site and because I’m the author, I can do things like this and get away with it. I miss Remy and the twins so much. It’s been over six weeks since they went to stay with Josh for the weekend (although it seems sooo much longer) and I’ve not seen them at all. She hardly ever rings or texts me and when she does, it’s . . . different – she’s different. Remy still tells me she loves me and misses me, but . . . oh, I don’t know . . . I can’t exactly explain how . . . it’s sort of like there’s not the same feeling, the same . . . connection between us anymore. I know Mum & Dad are upset too, but they’re not talking about it – well not to me, at any rate. Typical! Remy is vague about when they’re coming back and isn’t saying much about what’s happening either. She won’t tell me exactly where they are. She used to confide in me about everything and it feels strange not being a big part of her life. I’m sure something’s wrong. Ever since she left I’ve had weird mood swings. I get angry much quicker than I used to. It terrifies me how intense that anger can be. My food preferences have changed – for God’s sake, I even opt for my meat on the rare side now where it used to turn my stomach just to look at it that way before. And I have trouble sleeping. I just can’t make sense of it all. What’s going on? I NEED to get to the bottom of this. I don’t feel like myself anymore and it’s scaring the crap out of me. If Remy doesn’t come home by the end of the month, I’m going to hunt her down and find out what the hell is going on! Are you intrigued? What with this and all the teasers I’ve been posting this week, you should be! Anyway, I hope you enjoyed it. Now don’t forget to enter the fantastic giveaway, especially as you’ve seen all the wonderful prizes. And don’t forget, the celebrate the launch, Heart Search: Lost, the first book in the trilogy is FREE today and tomorrow only on Kindle. 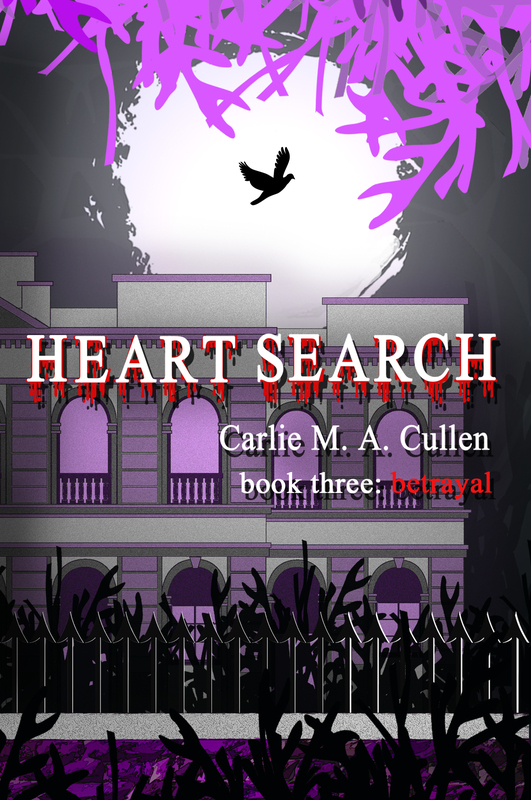 Here’s the link: http://smarturl.it/HeartSearch-Lost Alternatively, you can just click on the cover in the side bar. So spread the word amongst your friends and get them to pick up a free copy quickly. Please come and join the Facebook launch party tonight from 7.30pm GMT as there will be goodies, games and prizes. I hope to see you there. 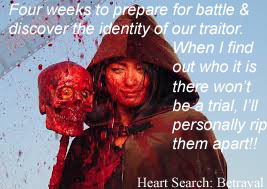 This week seems to have gone so fast and I still have a long list of things I need to do before Heart Search: Betrayal goes live tomorrow and the launch with blog tour gets underway. Don’t forget to enter the giveaway for a chance to win one of those amazing prizes and if you’re free tomorrow, pop along to the launch party on Facebook. It begins at 7.30pm GMT and goes on until about 00.30am.